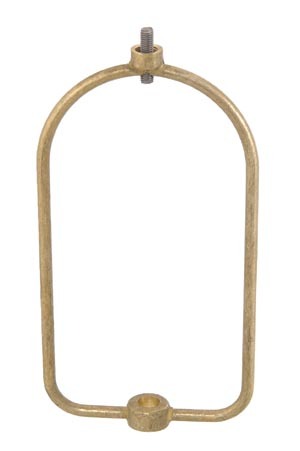 Boudoir, heavy duty lamp harp, cast brass, 7 1/2" ht. X 4", bottom slips 1/8 IP, top tapped 1/4-27F w/removable 1" long rod. Unfinished. No reviews yet for the 7 1/2" Heavy Duty Boudoir Lamp Harp.